New John Titus Film Exposes Corruption At The Bank For International Settlements. Mr. Titus’ powerful new film focuses on crimes of a seemingly different quality than the coup d’état of the American government through murdering its democratically elected president. The film exposes how the most powerful and wealthy people on Earth exercise control of governments and populations while covering up massive crimes against humanity with impunity. Mr. Titus has noted in interviews that “All the Plenary’s Men” is likely the second in a three-part trilogy of films, the first being “The Veneer of Justice in a Kingdom of Crime”. Given “All the Plenary’s Men” should become a worldwide phenomenon and ignite conversations and further in-depth research projects in all nations, one can say with certainty those powerful private interests controlling the extremely secretive (until now) Bank for International Settlements – known as the “central bank of the world’s central banks” – are fully aware they have just been hit with a monumental public relations “problem”. It might be the case that it is almost impossible to overestimate how profoundly serious and important the facts revealed in Mr. Titus’ film “All the Plenary’s Men” are as they relate to the entire human race. The film is truly historic and evokes mental images from the Christian bible of the man called Jesus’ overturning the tables of the money changers, generated by righteous indignation. While not wishing to categorize John Titus as somehow the “second coming of Christ”, from a spiritual perspective which perceives human evolution as an increasingly rapid revealing and resolving of crimes harming fellow members of the human family, Mr. Titus has provided an effective information tool for (if acted upon) positive societal uplift the world over. There are times when men and women upon learning historical and persisting facts and realities about how “things” happen on Earth wish they hadn’t. Because of the disturbing nature of the gained awareness they regret coming to know in the first place, and that it would have been preferable and less stressful to remain “in the dark”. The reality revealed by Mr. Titus is precisely the type of knowledge men and women often feel depressed and frustrated afterward for coming to understand, mainly because one feels impotent or powerless to act on that newly accumulated knowledge. For those who wish to stay “in the dark” and avoid the stress related to knowing about how the world’s most powerful and wealthy operate, particularly their truly destructive criminality – do not watch “All the Plenary’s Men”. Post #800: Powerful Ideas For Economic Transformation. The worldwide economic crash of 2008 which humanity deals with up to today generated a massive conversation about economics and banking, in particular sparking great interest in alternatives offering better outcomes. What has happened is that people have researched, studied, developed and articulated good alternative systems in the roughly seven years since 2008. The small group of people who control the global financial system have noticed the extraordinary interest in new alternative theory, and, for fear the alternatives will actually gain traction and become implemented, years ago began planning the trade deals called Trans-Pacific Partnership (TPP) and Trans-Atlantic Trade and Investment Partnership (TTIP) to effectively kill any alternatives. The Occupy movement made the phrase “We are the 99%” part of the global culture, for the first time unveiling/introducing the 1% to all people around the Earth, and essentially lit the fire of an ideas-for-the-future war between the 99% and 1%. One has only to consider that both the TPP and TTIP – the largest multi-nation trade deals in history – have and are being written in secret to understand the immense importance of what is going on here, and why the deals’ details must become made available for examination by every person in nations potentially signing on – before the deals become voted on and/or made the law of the land. Given the more urgent task of fighting for total transparency with regard to TPP and TTIP because of the enormity of consequences a very large percentage of the world’s people will experience if passed, it becomes easily understandable that focus on alternative solutions has been placed “on the back burner” so to say. If one’s house is on fire, it becomes necessary to put out the fire as opposed to spending time in the vegetable garden. Reports suggest that men and women in potential TPP / TTIP signatory countries are doing commendable work in opposition to the way the trade deals haven’t been presented in full for their consideration, along with strongly expressing legitimate concerns to elected representatives. Economist Scott Baker gave an excellent presentation recently on highly practical, beneficial economic/financial alternatives for people living in the United States. With hopes of reinforcing efforts around the world for promotion of new and implementable ideas that offer citizens real options for improving living conditions, a video of his presentation is being shared here. Other steps for positively transforming economic conditions include application of proper regulation to minimize criminal behavior in financial sectors, which would result in re-directing trillions of dollars into government revenue accounts. What can fiat money do for the economy? Pay for R+D in science, education, foreign aid, new energy systems, etc. The $29 trillion spent on banks after 2008 resulted only in asset bubble inflation. An example of a positive multiplier is $1 spent on social security that translates into $2 of economic activity. Negative multipliers include tax cuts for the rich and military spending, which most likely result in a net loss in economic activity. The next question Mr. Baker answers about sovereign money is “what about inflation?” The nation’s money quantity should be kept as close as possible to the amount needed to meet the nation’s productive capacity. In his view, private banks are not producing/creating enough money through lending, while the Congressional Budget Office in its reports asserts that another $trillion in circulation wouldn’t result in inflation. Next, he asks “why borrow/rent our money when government could create it?” Since 1913 and the Federal Reserve Act that established the Fed, the Federal government has paid the Federal Reserve Bank for money with interest-bearing Treasury bonds whose interest rate is determined by the Federal Reserve Bank itself. The interest is an expense for the American people which becomes eliminated once the conversion to sovereign money occurs. Federal Reserve notes or United States notes? The Federal Reserve Bank owns 18% of U.S. Treasury bonds. Japan, China and other nations own significant portions, and by holding those Treasury bonds China has gained a competitive advantage through devaluation of their Yuan, making Chinese exports more attractive to international buyers and American products more expensive. “The Georgist proposal achieves the goal of ‘left-wingers’ for security and social action, but without restricting liberty. It achieves the goal of ‘right-wingers’ to attain freedom, but without privilege and monopoly”. Scott Baker describes New York City’s taxation policies, where ‘special deals’ allow luxury condominium complex owners to pay 1/100th the property tax of condominiums costing 1/100th as much; parking lots paying 1/10th the property tax of neighboring properties which are built-upon and efficiently used; and the situation where 60,000 people in New York City are homeless while vacant and under-utilized land are both under-taxed and warehoused. America’s only State-owned public bank is the Bank of North Dakota (BND), chartered in 1919 and now more profitable than all the “too-big-to-fail” Wall Street banks. The main advantage of BND for the people of North Dakota and neighboring states is effective empowerment of economic growth through banking practices that keep financial resources inside North Dakota and the region. Many monetary reform advocates believe the creators of the TPP and TTIP have as one of their main goals making public banking illegal. Their premise is that nation-states shouldn’t compete against commercial interests in an unfair way or “unfair competition”. It is self-evident that public banking, while good for the 99%, represents the greatest threat for the 1% in the banking industry, as related to loss of profits – from greatly reduced numbers of high-dollar financial transactions. Scott Baker admittedly kept this last of the four solutions for the end because of the complex nature of the subject. This section of his presentation could be described as more “esoteric” and perhaps requiring further research to reach a firmer understanding, although accountants and finance experts will likely easily grasp his points. Proprietary funds, fiduciary funds, and component units included in CAFRs are not included in governments’ yearly budgets, and are where most surpluses are located. Mr. Baker describes a “proper” budget as made up of: 1) Balance forward of the previous year’s unspent revenues, 2) The current year’s projected revenues, and 3) The current year’s projected expenditures. “If a process can be made complex and obscure in order to benefit the elite, it will be”. There are over 200,000 CAFRs in America adding up to trillions of dollars. Scott Baker is asserting that those trillions of dollars, or portions of those assets, could become utilized in ways which result in better consequences for citizens. CAFRs represent a somewhat obscure, unknown governmental finance subject researched by only a small number of citizens. That said, where trillions of dollars are involved one could safely bet that, like on Wall Street, extensive levels of corruption and “rigging the system” are present. Scott Baker presents four real and solid solutions for building a better economy and financial system in America – solutions of which there is every good reason to believe are achievable. 99% of men and women see that as a “win-win” proposition. TPP, TTIP, TiSA Target World’s Public Banking Potential. 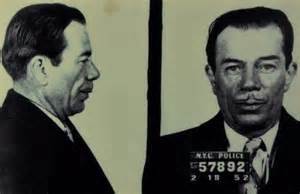 ank robber Willie Sutton Jr. is inaccurately remembered as saying in response to the question why he robbed banks: “Because that’s where the money is”. Even though he never said those words one can assume he thought them, however it seems his main motive was the thrill and “action” that he became addicted to. Mr. Sutton’s reasons stand in sharp contrast to Goldman-Sachs CEO Lloyd Blankfein who infamously told a Congressional committee: “I’m doing God’s work”. Then again, perhaps Mr. Sutton and Mr. Blankfein’s motives are similar when it comes to their respective associations with banks. The Trans-Pacific Partnership (TPP), Trans-Atlantic Trade and Investment Partnership (TTIP) and now newly-revealed Trade in Service Agreement (TiSA) are the largest trade deals in history, but an acquaintance in America – after asking him his opinion on TPP – responded he had never heard of it. Could the biggest reason the super-secret trade deals (many Americans have no awareness of them – corporate media has not reported on them) became conceptualized and drafted in secret over a period of years have been to shut down existing, and prevent multi-nation establishment of, public banks? Provisions/legalese in the TiSA published by Wikileaks – which has sadly and ironically become the prime source of TPP/TTIP/TiSA information for elected representatives and citizens around the world – point to a major push at privatization of all public services in signatory nations, so one can logically assert this includes public banks. Because public banking makes obvious sense, and, because public banks would take many billions of dollars out of Wall Street “too-big-to-fail or jail” megabank accounts, it becomes difficult to discount public banking as possibly the main impetus for the trade deals. A few months ago this writer, after around eight redials, got through on “Brunch With Bernie” – a long-running weekly (Fridays) call-in show on Free Speech TV – hosted by Thom Hartmann and featuring now presidential candidate Vermont Senator Bernie Sanders. The topics posed for Mr. Sanders’ consideration and opinion were (1) the decades-old, global, trillion-dollar per year tax haven/evasion industry, and (2) nationalization of the Federal Reserve. Both issues have become the subject of extensive reporting on alternative/internet media for years, however the mainstream/corporate media rarely, if ever, covers them. Both topics are common knowledge to men and women who go on the internet for their news of world events. Senator Sanders responded to question/topic (1), global tax evasion, but did not say one word in response to topic (2): nationalization of the Federal Reserve. Without being able to read another person’s mind, it is impossible to tell whether Mr. Sanders non-response was intentional or not; he may have become so excited about speaking to an issue he’s concerned about – global tax evasion – that question (2) fell away from his consciousness. Nationalization of the Federal Reserve, if it were ever to come about, would be a world-changing event, of which certainly United States politicians share an awareness. But talking about the subject seems clearly something that is – for Washington elected representatives – “taboo”. The only state-owned public bank in America is the Bank of North Dakota, established in 1919 in response to Wall Street bankers’ buying up large numbers of foreclosed midwest farms. Many American states are now seriously considering the North Dakota model. In the following talk by former Goldman-Sachs executive in charge of derivatives trading Nomi Prins, she notes that “Wall Street’s main fear (of public banking) is losing control” and that “…even tiny chinking away at their power , it really annoys them, so they see control and power lost”. At this point, the connection between public banking’s beneficial superiority for governments of all sizes – from city to county to state and national – and TPP/TTIP/TiSA provisions that effectively block increased presence of public banks comes more clearly into view. Many will remember signs held by men and women during the Occupy movement reading “End the Fed”. TPP/TTIP/TiSA could be compared to the Monsanto toxic product Roundup/glyphosate used for killing all plant life but for the Roundup-ready crops, making it unnecessary to devote huge labor costs on weed removal. The three massive trade deals destroy the growth of public banks (weeds) before they grow stronger, spread and become thus more difficult to manage, while leaving the status-quo, Wall Street banks (Roundup-ready crops) the only remaining financial “life-form” in the trade zones (farms). Suggesting that absolute destruction of public banking’s real, beneficial potential is the top-tier concern of those who own the world’s largest megabanks and central banks is not meant to discount other segments of public services targeted for privatization: Postal services, electricity generation, telephone, internet infrastructures etc., water/wastewater facilities/plants, waste disposal, schools and colleges, healthcare and health facilities, public employee pension funds, and so on. The assertion here is that public banking ranks as a “tier-one” concern for the forces behind creation of TPP/TTIP/TiSA, while the remaining public services and institutions – albeit very important ones – are for the creators of these trade deals “tier-two” concerns. Public banks, of all current public/government services, would more negatively, directly affect the élite .01% who’ve been on the receiving end of world record wealth inequality by decreasing their power and control. 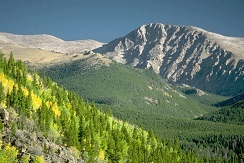 In their perspective public banking – if not stopped, but instead “snowballs” from local, state, regional, then nationalization of the Federal Reserve and private central banks globally – means the possible loss of every government/public account from their mega-bank corporations to public-owned financial institutions. In a very real sense, the creators of the Trans-Pacific Partnership, Trans-Atlantic Trade and Investment Partnership, and Trade in Service Agreement are attempting to prevent a positive, inequality-diminishing global condition equal to “the meek inheriting the Earth”. In the following videos former Wall Street insider executive and author of “All the President’s Bankers” Nomi Prins talks about public banking, while Co-director of PopularResistance.org/attorney Kevin Zeese gives an excellent description of TPP/TTIP/TiSA. Ms. Prins’ talk is from January 2015 at a public banking conference in Colorado, while Mr. Zeese’ interview is from a few days ago. Their combined message provides a valuable, clear perspective on major global events occurring in 2015.